However, there are a few things that I want to share with you that don’t really have stories to go along with them, but may give you a few more details of our lives here. Our friend and apartment-mate Maria left us this week. 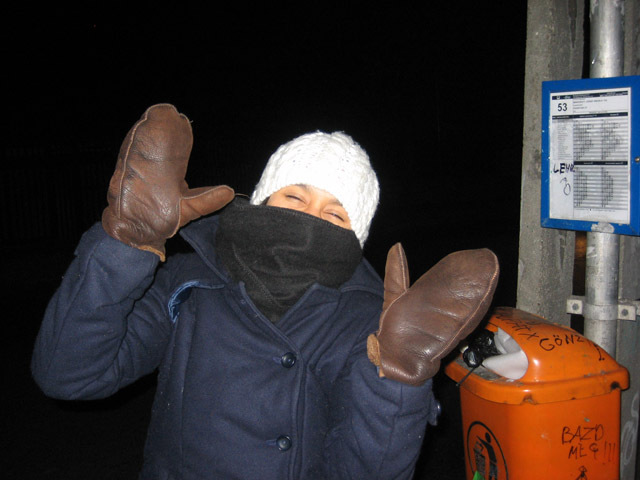 She moved back to Paris and we will miss her laugh and positive attitude. So, I met this girl who knows this guy and this guy is a part of a cool recycling/reusing program here in Budapest. He and a group of other tree-hugging folks take discarded billboard canvases and banners and make them into all manners of things such as pillows, purses, wallets, backpacks, and furniture covers. In my unexplored world, I guess I thought all billboard signs were made out of paper. But that makes no sense in some situations, I suppose. Every time it rained, there would be wet globs of paper bombs attacking pedestrians. Anyway, this group had a workshop on Saturday where you could pay 1,500 Forints (which is around 7ish U.S. dollars depending on the day’s exchange rate) and design your own billboard creation. 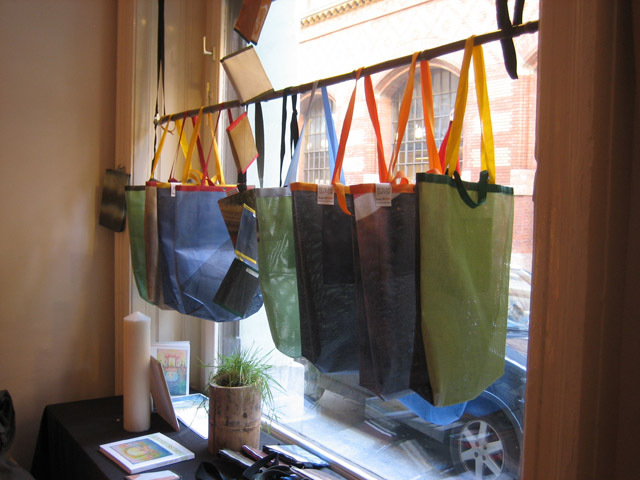 These bags were examples of what you could make at the workshop.